Sigrid is a licensed aesthetician, film and theater trained makeup artist, cosmetic tattoo artist, phlebotomist, and clinical medical assistant. Yes, in that order! This unique accumulation of education, certifications, and experience has expanded over her 36 year career, with 22 of those years spent working directly with plastic surgeons. Sigrid has a vast understanding of both surgical and non-surgical cosmetic options, including facial fillers and injectables. 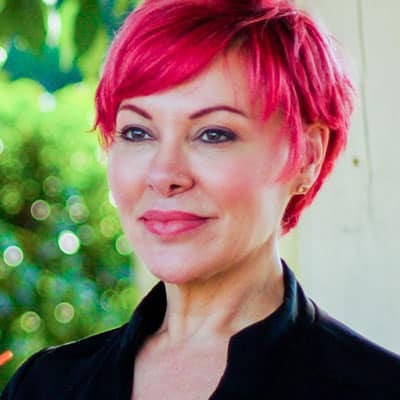 She is trained in numerous advanced medical skincare modalities and treatments, including chemical peels, advanced microneedling, Fraxel®, IPL/VPL, lasers, permanent makeup, cosmetic and medical tattooing, microblading, and Ultherapy®. That’s why at Skin Vitality we call her the "Aesthetic Guru." She has positively earned that title. In the world of movies and theater, a makeup artist uses special effects makeup to create optical illusions and/or enhancements of certain aspects of the face. This training and knowledge informs how Sigrid sees facial structure. She translates that knowledge into anti-aging and beauty enhancing options for her clients when she consults and designs a plan that is customized for their needs. Her keen eye for detail and meticulous approach have earned her a loyal following among those who demand the very best for their facial enhancement. The vast majority of her clients via are referrals from members of the medical community, her peers, and her own tattoo artist. She has performed over 10,000 procedures, including permanent makeup, microblading, and advanced tattooing procedures, among others. She has extensive experience in cosmetic tattooing and has experience with every type of machine or manual method available. She has been interviewed by local news stations, including ABC 11, WRAL, and NBC. She appeared on Ambush Make Over, has authored magazine articles, and has done makeup for magazine photo shoots. She absolutely LOVES her work. She sees beauty in all faces, feels privileged that her clients entrust her, and enjoys making people feel more confident about their appearance. Sigrid is fluent in both French and English and attempts to speak some Spanish. She is also passionate about supporting local causes. Donate Life, BRA Day, The American Red Cross, Look Good, Feel Better, and OCRFA, are just a few of the charities closest to her heart. Committed to being exemplary in her craft, she attends annual conferences and is a member of SPCP, AAM, and AmSpa.